Find travel crafts, car travel crafts for kids and travel activity crafts here. You are planning for some family tour and worried about as how to keep kids busy while traveling, so that they won't get bored by just sitting idle during the journey. No need to worry at all, as we have an idea for you, which will keep kids engaged during long trips. Travel crafts can be used to keep them occupied and happy during those long drives or flights. Travel crafts are the projects that can be made while traveling. They can also be used on the way while traveling or can be worn by kids while going on summer or winter holidays. You can let the little ones make baby gift box and can put interesting games or pack snacks in the box. Other traveling crafts include fun jar, sport duct tape purse and funky crocheted belt. Travel activity box and Puppet Theater will help turn long weary hours into fun time for kids and adults like. Kids may also make paper cup and square paper bowl, which can also be used while traveling. Making a map holder is also a useful travel craft for little explorers and adventure travelers. In our related section, we have discussed about various traveling craft ideas. Though clown pouch may require advanced level of sewing skills, it is very useful craft. You can use it to keep letters and envelopes, laundry or your knick-knacks. You can make it longer to keep more clothes, but be sure that it should not be loaded much. In the present time, purse has ceased to be just a necessity, used by women for carrying various essential items, but also become a popular accessory, which females love to flaunt. The fashion buffs are especially keen about carrying different types of purses, matching their attire. Among the most popular types of purses available in the market, the one made of duct tape is currently a part of the hot trend. Girls are sometimes hard to shop for. Buying gifts for them can therefore, be an intimidating task. However, one thing that almost every woman (weather 16 or 60 years old) will love is a makeup product. Again, the innumerable options for cosmetics can add more confusion. One of the best ways to make use of old, recyclable jars is to turn them into a kind of storing place for baby blocks. Known as fun jar for baby blocks, this particular craft is very easy to make and can also serve as the perfect way to pass some idle time. Since the craft is very simple, you and your child can make it together as well. Very much in vogue, belt not only serves as a functional item, but also as a fashion accessory. While a wide variety of belts are available in the market, the homemade ones can add to the personal touch, especially when you are planning to present something unique to your loved one. Making a funky crochet belt would be a nice idea. Key chain is a great gift that a father will cherish forever. This craft is so easy for kids to make that it becomes a fun activity for them. Give this gift to a dad and you can immediately see the smile on his face. He will absolutely love it and carry it around proudly. Kids can make these special key chains for their dads, but it is necessary to let them do it only under adult supervision. Fabric lunch sack is a quite simple and easy to make craft, having the added benefit of stylish looks and easily wash-ability. It can be used by children, teens and as well as office-going people, for carry their lunch. The lunch sack can make an excellent back to school craft project and also serve as a good party favor for your teens. Map holders have immense utility and make great craft option for both, teenagers and adults alike. Adventurous kids will love to use their map holders, while playing treasure hunt games. They can actually be used to keep maps safe, while traveling and driving around. An easy and inexpensive craft, kids will love to make and own this map holder. It's vacation time and you are confused as how to make your kids busy in some useful activities. We have a great, creative idea for you, which will help your kids have fun along with learning a new, useful craft. Kids love to play with papers, so this craft has been based around paper only and is called origami paper cup. To keep kids and toddlers entertained for a long time, putting up a show in a small cereal box puppet theater is a good idea. Holding the puppet theatre in one hand, you can put on shows with finger puppets, Popsicle stick puppets or straw puppets. It also gives you an opportunity to perform your child's much loved stories and encourage them to use it as well. Are your kids going to have a party soon? Why not let them make their own bowls for the party. Yes, you guessed right! We are talking about origami square paper bowls. These disposable bowls can be used to serve pastries, cakes, chips and other snacks in your kid's birthday party. Are you tired of keeping small kids entertained during a long drive? Do you find it very tricky and challenging? If the answer is yes, you do not need to worry any more. 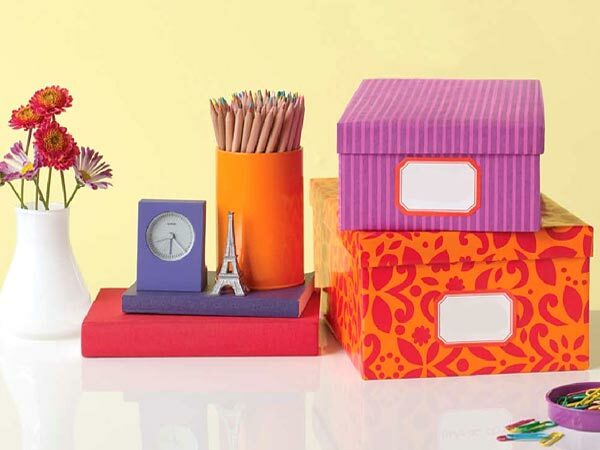 Use a bit of your creativity and start making a travel activity box for your kid. The activity box may require some time and effort of your part, but will surely keep your children bust while traveling, since it acts as a great entertainment tool for them.